I am 52 and my husband is 55. We’ve been married 5 years. My husband has two grown children from a previous marriage – they are both working now so not dependents. New York, just outside the city. My current net worth is $2.6m and I am projecting this will rise to $3.5m by the time I retire in 3 years. But out of this, I need to set aside money to purchase a home as I don’t own right now. I need to figure out how to make at least $80k per year net of taxes from this money, ideally more ($100k post tax would be ideal). My biggest problem is I don’t know how best to maximize the income I can get from the $1.7m funds. I’m trying to figure out if I should pay down my mortgages and use the rental incomes as my main source of income, or if I should just pay the tax, sell them and then reinvest to generate income. The properties have been good as they have appreciated nicely in the time I’ve had them, and are likely to continue doing that, so I’d like to hang on to them as long as possible. I work as a Marketing Director for a large consumer company. Just under $300k including bonuses. In addition I get stock options. My first role paid around $30k. My salary increased significantly in the last 5 years when I took up a new role. It grew just through slow and steady progression. In my early years I moved jobs every couple years to build my salary quickly. I wasted a lot of time thinking I didn’t want to reach more senior levels, but now when I look back I wish I had been more ambitious early on in my career. I could have been in a much better financial situation by now. The years go by so quickly – so my tip is, work as hard as you can early in your career to set up your finances for life. Your career goes by SO quickly! It’s never too late to change things but making the most of those early years helps a lot. Don’t wait until you think you are ready for a big role – just make the move and learn in the job! That’s what I’ve seen other successful people do. If I’d done that I’d be much better off now. You also have to go after what you want and not be afraid to ask for the roles you want. Take risks – companies like to see people who are willing to do that (as long as you are sensible about it). And most of all, don’t rely only on your company for your income – things can change so quickly, you have to be prepared for the downtimes. My role is difficult and requires working some evenings and weekends too and I have a long commute in and out of Manhattan every day. I would like more balance, and this is why I want to retire early. I want to explore my passions while I’m still young and healthy. I’ve worked hard over the years and saved to get ready for retirement. Five years ago I met my husband. I’ve kept my own budget and savings separate, so everything I’m quoting is my share of assets and expenses. But I’d like us both to be able to retire. 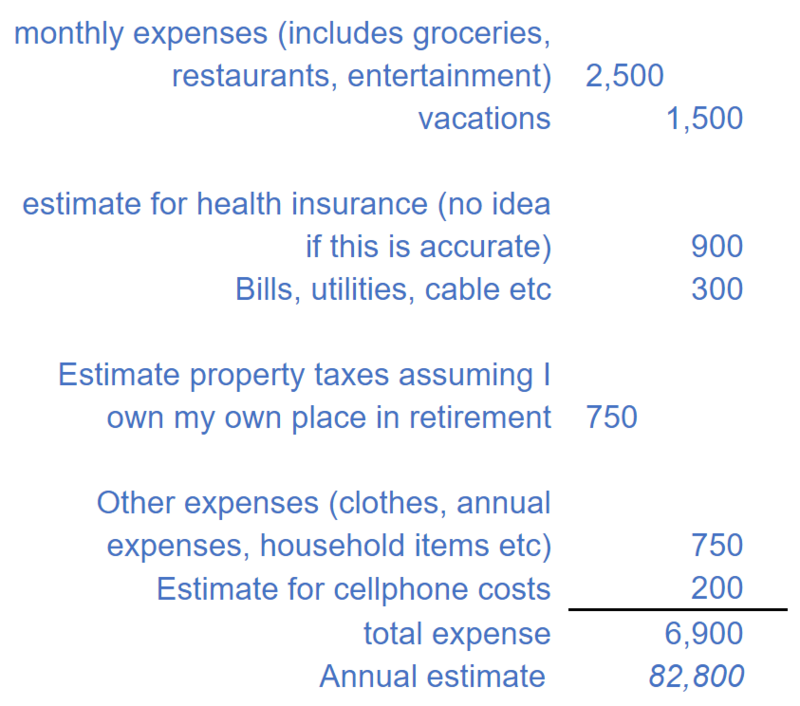 I’m confident that I should be able to generate enough money to cover my expenses of around $80k a year, but I’d like to figure out how I can get a lot closer to our joint expenses of around $130k a year. Due to a very messy divorce, my husband has no significant assets of his own. No – and this is one of my main problems. I am only a few years from retiring but don’t have any passive income streams. I need to figure out how to convert my assets into income. Rental income is one option – I could sell my short-term assets and use the money to pay some of my rental mortgages, and use that as my main income, but I don’t know if there are better approaches I could use. I recently spoke to a financial advisor (for the first time ever) to ask how I should begin building a dividend income stream to use in retirement. His advice was I should just focus on a balanced portfolio (55% stocks, 45% bonds) and withdraw capital out of the growth, as in the long run that works out better than trying to generate income from dividends and sacrificing growth. I don’t know if this is correct and would like to hear what your readers think would be a good approach. This is just my spending. If I included both of us it would be $130k. Yes we both monitor what we spend. I try to keep my spending at or below the $70k pa level. He also spends a similar amount each year. My savings rate is 50% of gross salary (and about 70% of net take home salary). I’ve never really had a plan, and still don’t. My investments have been haphazard. I’ve just tried to save consistently. I need a plan for my retirement but aren’t sure how to make one. Property investments have been awesome, even though it’s probably been more due to luck than good planning. It’s not been quick appreciation, just steady growth over the years. Stocks. I have lost approximately $250k on stock picking over the years, and missed out on huge bull runs. I would be significantly wealthier if I had been better with stock investing. My biggest mistake was getting suckered by one of these trading experts who promised to be an online “trader for life”. After investing almost $30k in all sorts of trading courses with this company, I’ve lost lots of dollars trying to use the investment approach he teaches. I would have been so much better off just putting my money in an investment fund rather than trying all those short-term trading techniques. I have never tracked this so I don’t know – I plan to track this regularly from now. But my return on stock investing has been regularly negative, even in the bull market. I have only just started tracking it in the last year, and do it manually. All the money I have made has been through earning and investing. As I’ve grown my income I’ve tried to keep expenses under control, but spend easily on things that matter to me. The property investments tenants have paid down my loans and I’ve been able to build my net worth. I currently save about 50% of my gross income and have been a high saver all my life. I came from a middle class background and my parents worked in the steel industry so we didn’t have much growing up. So I’ve always valued money and tried to save it as a form of security. For me it has been Earn and Save jointly. I’ve been lucky to have earned a consistently good – but not great – income through all of my career. I have also saved regularly and have always been a saver. On investing, I’ve done less well. In general I’ve had some luck but mostly my investments have not worked out well. The biggest hurdles have been my stock investing. I’ve sold at the very bottom, and bought at the peak, multiple times. I should have stuck to drip feed long-term index investing. I’ve tried not to get demotivated by big losses and instead focus on how lucky I am compared to so many people. In the future I need to decide how I handle stock investing and if I should use a broker or advisor instead. I am saving as much as possible in the remaining years before I retire. I want to put money into the market but as it’s going down at the moment I’m holding off. Maybe I will just do a little bit at a time over the next year. I would feel better about retiring if I was able to increase my net worth to closer to $5m. Although I think I can retire based on my projection, we won’t both be able to retire. I would be so happy if we were able to both retire in 3 years. With the numbers we have, if we want to spend freely in retirement my husband will need to keep working for another 10 years. He is happy to do that as he loves his job, but it would be so much better if we could spend our time doing things together sooner. I don’t know – I only recently started tracking, but maybe it was in my late forties. Maximize your income early in your career. Save consistently and tie up your money in solid long-term investments. Don’t do what I did and try and learn to time the market or play individual stocks. Don’t sell real estate unless you have to – when you outgrow a home, try and keep it as a rental if you can afford to. Track your expenses – this is critical – probably the single most important thing you can do. Spend on things that really matter to you – when you review your expenses you will know If something was expensive but well worth it, or whether it was something you could have done without. Push yourself in your career as much as you can – you are probably capable of more than you think. Don’t even think about getting into debt other than mortgages – absolutely no credit card debt or other loans. If you lose money, don’t focus on it too much. Focus on what you do have, and where you want to get to. Keep a balance between living a good life now and delaying some gratification – you don’t know what the future may hold so you may regret not spending on things that are important to you. Be humble, grateful and live within your means. I retire in 3 years and then when my husband has retired we would love to spend time travelling around the country while we are still healthy (my husband will be in his early 60s by the time he retires unless I’m able to generate more income from my investments to cover both of us). I don’t mind doing a little side work to earn some extra money while he is still working, but don’t want to have to. It probably sounds selfish that I want to retire earlier than my husband, but I’ve lost a lot of people in my family to illness and don’t want to put off retirement too long. This is a big dilemma for me though – if I worked a few more years he could retire sooner, but I just don’t think I can do that. I want to be able to enjoy my retirement. My estimate for retirement spending is similar to my current spending, but adding costs for healthcare. My spend is shown below. My husband would be about $60k pa in addition to this. The same as everyone else – healthcare. I am budgeting close to $1k a month healthcare costs in retirement but I don’t know if this is realistic. I don’t tend to read finance books and have never read the books I hear about on these blogs. I think my main lesson was just my upbringing. My folks struggled financially and I saw this at a young age, so have always seen money as something to be valued and a form of security. But even valuing money, I have been a little reckless with some of my investments and got burned. I think Warren Buffet is someone I admire, just because he has been so humble and unaffected by his huge wealth. I pay generously to my pet charities – I love all animals and have been a lifelong vegetarian. I don’t plan on leaving an inheritance, so I hope to use up as much of my assets as possible while we are alive. Anything that is left I would donate to a pet shelter. 1. Is my retirement plan reasonable? 2. How can I best start to make some passive income streams or should I follow my financial advisor’s advice and grow a portfolio and draw from the growth? 3. Should I use my assets to pay down my rental mortgages and use this as my main income? Here are the details of my 5 rental properties. I’ve estimated the value when I retire and also shown my estimate of the taxes I’ll have to pay if I sell. If I was able to pay all the mortgages ($1.4m) by the time I retire I’d have plenty of income. However I can’t afford to do that as I need to buy my main residence and need $1.7m to do that. The properties are in good locations that appreciate over time even though the actual rental yield alone is not high. I have a question on your husband- if he has no assets how will he be able to generate his share of income to support his expenses within the next ten years? For your own source of cash flowing investments, the rental income should help you. Are you able to upgrade and improve any of the rentals to then get a rent increase? That may be worth the effort. Given your background with stocks I would recommend you don’t invest in dividend paying stocks for income. While the strategy works very well to get income through dividends (I have been dividend growth investing for the past five years and now have an after tax portfolio that provides $105k+ in annual income that has a current value of nearly $2.9M), you need to change your thinking in a very deep way on how to react to market fluctuations – basically you have to anticipate drops in the market and be prepared to deal with that over periods of time- you also need a larger capital base in my opinion. I’d say to keep focusing on the rentals and begin to work on some side hustles that take less time and can provide supplemental income in retirement. I do wish you the best in making this happen. Great advice here Mike. Ah yes, the old market fluctuations. Scary stuff. Thanks Mike. I dont think i’d get much of an increase in rents by upgrading, as they are in good condition. Adding my husband’s situation onto this would make my story even more complicated so thats why i left it out ! In general though, he would work for a few more years until he was able to part fund his retirement, and then we’d have to scale back our spending to meet our combined situation. I would probably sell most of the rentals if not all. You’re heavily weighted in real estate. And it would have to be nice to simplify. Don’t forget to budget for home maintenance and insurance in retirement! Here that can easily add $6000/year. Don’t sell your real estate. Work on getting the rents up to the 1% rule. I don’t understand why your yields are so low. Are you using a management company that is eating all the profits. I have just as much real estate but making double in net profit then you. If you sell it all you will Then have too much in the market. The reasons I have so much real estate is to diversify my stock portfolio. I think maybe she’s miscalculated the yield. There’s certainly value add potential here if these properties are in the location I’m assuming they are. I was trying to determine how she got to those numbers based on purchase price. All of these comments encouraging selling the real estate concern me. I hope that doesn’t happen. If she doesn’t want to deal with it, she could hire a manager for a nominal fee. I agree. I hope she does not sell. Because she is much more diversified with real estate. Way more cash flow and possible options with real estate then without. I agree i’d like to hang on to the real estate if i can. I calculated the net yield just by taking the net income after all expenses and taxes that i would get IF i paid off the mortgage loan, divided by the gross current value. 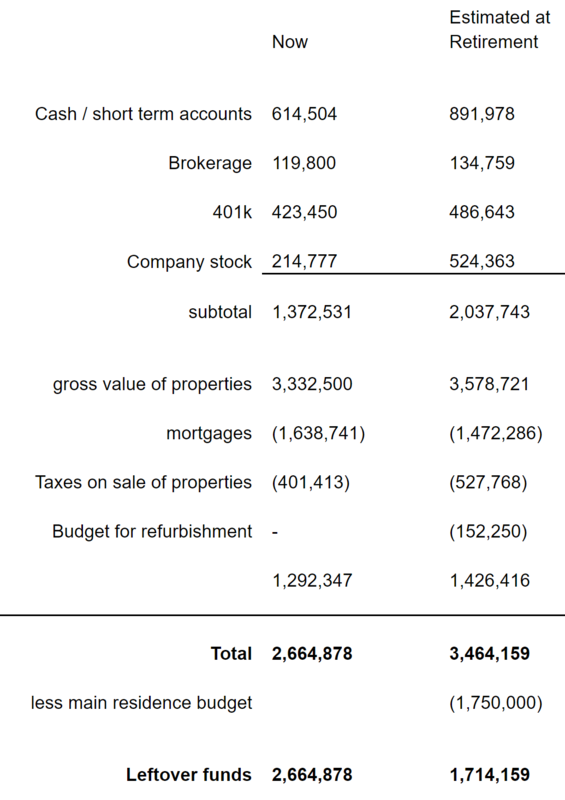 The reason they are so low is that the properties have increased alot in value – when i bought them they didnt meet the 1% rule, and they are nowhere close to that now based on their current value. In the yield i haven’t factored in appreciation, which on average has probably been at least 3-5% above inflation on average since i’ve owned them. Properties 2 and 4 have had alot of expenses bringing down the yields further, they should probably be the ones i sell if i do decide to do that. i could maybe 1031 the properties to better yields, but may end up with lots of properties which may be harder to manage. Whew!!!!. When you solicit advice be prepared for a variety of it. It is heartwarming to see your thoughts and assemblage of a future plan at the current stage. Suggest you continue to refine your current plan. Life is short, complex and at times may be troublesome but dedication to a comprehensive plan often delivers the desired results. I’d also suggest your Health insurance premium is only half of what you should be budgeting. Do some additional research on that. Also, I have the same question about rentals —— do I keep mine (I have 3 single family homes now), or do I start dumping them and search for simplicity—— I’ve owned rentals for 40 years, so it’s in my blood and will probably be hard to reduce in this arena, but I have thought about it, a lot lately. If I were you, I’d consider carefully meeting with an accountant (with/without a real estate agent) to look into 1031 exchanges, which might let you sell some/all of the rental properties tax free provided you roll the proceeds into new rental properties. There may be ways to use the sale of the rental properties to buy your next home (although, full disclosure — I am not a tax expert and have no idea if this is legal/permissible) or just to sell 5 properties and roll the proceeds into buying one or 2 new rental properties, or even sell a few of the rental properties and roll those proceeds into fully paying off other rental properties you own. Again, talk with an accountant about how this works, though. As for the rest, you look like you’re in good shape, but I’d keep plowing as much as you can into index funds either via your 401k (are you maxing it out, including the 50+ extra? ), a Roth/backdoor Roth/Traditional IRA, a Health Savings Account, and/or a taxable account. Also, if you want to retire earlier, any chance you and your husband could relocate to a lower cost of living area? $1.75 million for your retirement residence seems pretty damn high — probably a function of living near NYC. Moving further out/away could mean a huge property price reduction which would make all of your expenses (even taxes, etc.) lower if it was a lower cost of living area, allowing you both to retire younger (rather than wait for him to catch up on his side). I was thinking the same as above, regarding the house. If you are spending half of your projected net worth at retirement, what about moving even an hour away into some parts of Pennsylvania or Connecticut where your property taxes and purchase price are drastically lower. If you can keep $3 million in the bank, 3% per year w/d would get you around 90k plus whatever your rentals cash flow. Just a thought! Good luck to you, thanks for sharing! First – congrats on your success. You mention “luck” and everyone in a good market has had some of that. You’ve positioned yourself admirably simply by progressively investing across several sectors. Next – whatever you do (and please listen) do not sell that real estate just yet. I’m speaking to you as a financial guy and also as a real estate investor who has similar diversity. You are in a perfect position if you don’t mess it up. Please remember this though – cash is not “king”. Cash flow is king. And it seems that you have it through your rental properties. – What is the rate of each loan on rental properties? Money is still very cheap to borrow and you may not want to pay off low interest loans on income earning properties with cash that you can use to get a better return. If you have a 4% loan on a rental property and also get taxable benefits ( and income ) from the lI’d be hesitant to pay that loan off. I certainly wouldn’t pay it off and then sell. – Am I understanding that you have a $120,000 a year positive cash flow from your rentals ? If so, congratulations. You are “ wealthy “. Your passive income stream pays for your projected expenses. So if this is accurate , your rentals will pay for your retirement expenses. Also, rents in your area ( along with property values ) are going to increase. There is scarcity there and people HAVE to be in the greater Manhattan area. If your expenses go up due to inflation , rentals are perfect to defray those increases. – Have you checked with an accountant on the specific cost of selling the rentals? If you have been depreciating the rentals over the past years ( and you should have been) then you will have to “ recapture “ that depreciation on exit PLUS pay taxes. The tax bills can be astronomical. Your estimation of the tax bill is over $500k. I believe that that bill might be as high as $750k. Either way, are you willing to give up $500k of your net worth if it’s avoidable? You can certainly 1031 that money into other property to save taxes but the property you buy couldn’t be used as a residence. Also in your area and around the country, there is so much 1031 money flying around that people are paying what I believe to be inflated rates for properties. You already have great properties. – Given your low “loan to value” on each property, you could easily refinance each loan if you needed cash rather than sell the property and take that massive tax hit. A cash out refinance is not a taxable event. Be careful here though because that will impact your cash flow. I personally think you may not need the cash but that’s your decision. – Why do you think you need to own a house ? I’m curious here. You mention travel. You mention the cost of housing in your area. I also understand that there are limitations in your state on deductions for mortgage interest. I might rethink tying that much money up in homeownership. You might consider moving into one of your rentals even – although that is a growing source of income. I would probably continue to rent but perhaps in a cheaper area. – Have you considered the dollar weakening over the coming years? That is a practical certainty. As that happens, your real estate income will typically trend in the opposite direction. Also , we know that the demand for rental property across this country will continue to increase as the baby boomers retire and demand it and as the millennials (shadow boomers) show signs of being transient. The area you are in is probably the new area to actually own real estate in the country. It’s great to me that you rent your personal residence yet own fantastic income earning properties in a location like NYC metropolitan. I’m asking these questions in order to fully understand your situation. It’s tough for me to offer specific advice without knowing these things. Based on what I see now and your allocations, you are in an admirable position not only to retire but to have increasing income through the rentals which may also allow you to avoid touching your 401ks and your social security and and twill have a great lifestyle. Sorry for the ramble but I I wanted to give a thoughtful response based on all the information. No emotion here on what you should do. These decisions should be mathematic and mathematically you are in a great situation if I understand it properly. Count me as very confused about her rental situation. She clearly states she has no sources of income beyond her salary, and that “rental income could be an option,” but she also provided a chart that seems to indicate $120k per year of rental income. Is all of that $120k just principal paydown, no cash flow? Thanks for reviewing all this information in so much detail ! I don’t think i’ve been very clear on the rental properties picture so let me clarify. Currently i have $1.4m in mortgage loans on these properties, over 30 yrs (with over 20 yrs remaining). If i was to sell them, after paying all taxes and paying down the mortgages, i’d be left with about $1.5m cash. If i keep all the properties, and pay down all the loans, then the properties would cashflow approx $120k a year, after all expenses and taxes (including income taxes). To earn this cashlow, i’d need to pay off all the loans. Without paying off the loans, the current cashflow would be much lower. The loan rates on all the properties are below 4%. If i pay down the mortgage loans, i’m not left with enough to purchase my own home for retirement. Having my own home is important to me, but the responses from many of you here is confirming what i was already thinking – that i need to scale back the amount i should spend on the home, or consider moving to a cheaper area. Both these options are not ideally what i’d like to do but i need to consider them. I would be very hesitant to pay off loans that are under 4% with cash. You’ve borrowed money at rates that are the lowest ever. Why mess that up ? Question – would you borrow more money now if you could if the rate was 3.75%? Sure you would. The same loan would now cost 1-1.5% more. Aside from the tax advantages you get on the loans and real estate , you’d be giving up the opportunity cost of your cash. You could probably put that money in play and get a higher return than the 3.5-3.75% you are paying for the mortgages. Factor in the write downs and you are paying just above 3%. Why would you pay off a 3% loan that is locked for 30 years on a property that will increase in value and income ? There has been more personal wealth consistently created with real estate than any other single asset class. You have done the work already in securing marquis properties at a long term fixed low rate. It’s a dream situation and your cash flow will likely increase. You have what everyone aspires to have. I’d be interested in knowing how much annual cash flow your currently have. My estimation is around $45-50,000. Given appreciation and future demand in your area, I’d say sit tight and let the process work. You’re still young and You’ve really done well. A question for you and the other readers – have you looked into selling the existing rental properties and doing a 1031 into a private real estate fund? I believe it is possible to invest your 1031 proceeds into another project as a tenant in common, and as tenant in common you’d still get all the pass through benefits of direct real estate ownership, but a third party would manage the investment for the TIC owners. 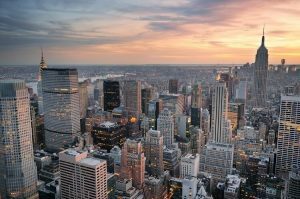 This would allow you to defer capital gains taxes indefinitely but avoid the annoyances of owning rental properties, which may become more intolerable overtime as you get older. There may even be some large funds now that accommodate exactly this type of situation? no i hadnt thought of this or didnt know it was possible. Something to look into. Many of the tax advantages enjoyed by conventional real estate go away. . These things also have heavy fees betwen beginning and end. Rental annoyances are defrayed by property manager and she mevyuons that she has this in place. I simply don’t see the advantage of her doing this given her present situation. She also loses the two biggest things – control and options in the future based on changing needs. Maybe i am miss reading what you mean by company stock but if you have over $500k in your employer’s company stock, you are way over weighted here. Look to diversify this risk, keeping tax consequences in mind. Thanks for chiming in with another great story for success, failure and everything between. We all have them. In my interview I had talked about transitioning out of corporate world and I am following through with that as of Sept. 2019. You can see more specifics in my MI-96 interview. 2) What, if any, cash would you be able to pull out of the properties to fund your next phase and your next home. My biggest concern is your point about purchasing a residence at a cost of $1.7M?! That seems like a huge risk considering your current income sheet. And it also appears that is tied to your $1.4M of mortgages. I would never suggest to anyone to do something they aren’t comfortable in doing so I find it’s always better to ask questions rather than assume. As I tell people I work with whenever I ‘wealth coach’ a bit, I’m not hear to tell you what you can and cannot afford, only to tell you the later impact of the purchases on your financials. Generally speaking, I somewhat agree with your planner and the 55/45 balance instead of rolling out of it all and trying to go for dividend income. I’ve been trying to rebalance where I can as well but to do so sometimes results in a lot of capital gains. I’m trying to get my entire portfolio down to yielding somewhere in the neighborhood of 4.5% without selling a lot of things which will carry a huge capital gains hit. It’s a tough balance. I am seeking dividend paying stocks where I can to augment that equity mix in my diversification and it will be about 55/45 as well. The issue is that even at 55%, a big market downturn can hurt. But the opposite side of that is that going to safety will lower your returns to 2.5%-3.0% in most cases which is where that mix comes in. Over the long haul, that portfolio mix should work (historically). Sorry, was going to mention a few other things but work beckons. Sometimes wisdom later in life is all you need to get things back on track from lack of it earlier in life. Luckily, you are in a great situation to make the most of a few more years if you can stick it out. Thanks for your comments. The properties are not too much work to look after as i use an agent, so i dont mind keeping them at least for another 10-15 yrs if it makes sense. I could refinance but i wouldn’t be able to pull significant funds without moving into negative cashflow. I could consider using some of the cashflow to finance part of the mortgage on my own home when i purchase it. Good to hear that you also agree its better to allow the portfolio to grow rather than going for dividend income. You came into the marriage with a high net worth. Your husband did not. If you don’t mind sharing, did you do a prenuptial agreement? This is a hot topic I get asked via my website and blog often. Based on what I’ve read, the legal community advises that those getting married (or re-married) later in life should do a prenuptial agreement, especially when one or both parties have substantial asset base. yes we did get a prenuptial agreement – we talked alot about it and were both comfortable with doing this. With previous experience of divorces we were probably less romantic than other newlyweds ! All helpful, constructive comments, and I’m learning from them as well. Simple question: why do you keep so much in cash? And it seems you plan to stash hundreds of thousands more there by the time you retire. I understand you feel burned by previous stock investments / losses. But cash is probably earning you next to nothing. A Vanguard S&P 500 index fund has earned me about 10% return year over year (on average!) for over a decade. But, I didn’t panic in the 2009 downturn, I rode it out and even added more then … it’s come back 200%. If index funds are still too scary, consider a broad bond fund, even tax-free munis earning around 3%. I’d just really love to see you earn a healthy return by moving your $600k cash to something more lucrative for the next 3 years until you retire — this will make achieving your goals easier! I would echo the sentiment on keeping the real estate if not difficult or expensive to manage, or at least carefully considering the issue before doing anything. I too am heavily weighted in metro area real estate, and values have performed nicely through recessions. Sounds like you purchased some time ago, at much cheaper prices, so why realize your gains at this point and potentially trigger tax issues. The challenge I see here is that the properties are not cash flowing well because of the debt you’ve put on them. Seems like this was to extract cash for your retirement nest egg. Not quite sure what I think of that strategy, but at least sounds like you’ve locked in nice rates for next 20 years. First of all, congrats on achieving a very nice NW and being within striking distance of FIRE. Your situation and approach remind a lot of mine in some respects. I’m married, no dependents, close to your target FIRE age, in approximate geography, work in an insane corporate environment (and wondering how much longer can do that and maintain my health and sanity), have a lot of NW tied to r.e., keep significant cash balances (in case I get FIRE’d), and have ambitious plans for what my retirement home(s) will look like. I’ve reach FI, but targeting about 3 more years to retire or at least shift gears into work/life that is a lot slower paced. I also started out with very little knowledge or role models on how to do this FIRE thing, and have had to make lots of mistakes along the way. 1. Is my retirement plan reasonable? I think your plan is mostly reasonable, but I’m concerned about a couple of things. Recognizing that NY area r.e. is insanely expensive, I agree with folks who believe $1.75mm is a lot for a residence relative to your retirement plans and NW. Wondering if this is a city apartment or a single-family home? If it’s a NYC condo, well then that amount is a drop in the bucket and the apartment would be relatively easy to sell (or rent out) when husband retires (and probably appreciate in value). If its a house, that’s another matter – taxes alone could eat you alive and it may be much harder to sell/rent in the future. Although your husband will be working for another few years, the idea is for him to be saving for retirement, not supporting your lifestyle. I imagine you’d need to take on a sizable mortgage for such a purchase, which could really delay his retirement, both in terms of ability to save, but also the amount of $$$ that will be necessary to retire and keep the home. 2. How can I best start to make some passive income streams or should I follow my financial advisor’s advice and grow a portfolio and draw from the growth? I’m no authority on passive income streams, other than r.e. which you already have. I believe your r.e. income will grow naturally as rents increase. Also, sounds like you have conventional mortgages, so over time you are creating equity. As long as you won’t need the equity in those properties for a long time, I’d keep them and let them marinate. Financial advisors can be a big help and I love my advisor, who is a close friend too, BUT, I never, and I mean never listen to my advisor when it comes to r.e. NEVER! Advisors don’t know crap about r.e. Their (well-intentioned) bias will always be towards a balanced portfolio of securities. As the saying goes, ever problem looks like a nail to a carpenter. The portfolio makes money for the advisor. The r.e. does not. 3. Should I use my assets to pay down my rental mortgages and use this as my main income? This is a tough dilemma. Your properties are like annuities, as long as you keep them up, they will keep giving you tax-friendly, inflation-adjusted income forever (expenses go up, but so do). As long as the r.e. does not tie you down (i.e. keep you from traveling or living elsewhere) then there is a lot to be said for keeping it. If it is going to be a big hassle in retirement, then would consider selling. You might also take a blended approach – sell some, keep some. I am just starting my journey towards financial independence, and intend to use RE leverage as one method to reach my goal. How did you finance the purchases of your proterties, and what roadblocks did you face in getting financing during the RE acquisition phase? Did you use HELOCs for the DPs? Did you renovate and pulled funds out for the next deal? Please share. I would appreciate it. And again, thank you for sharing your very inspirational story….